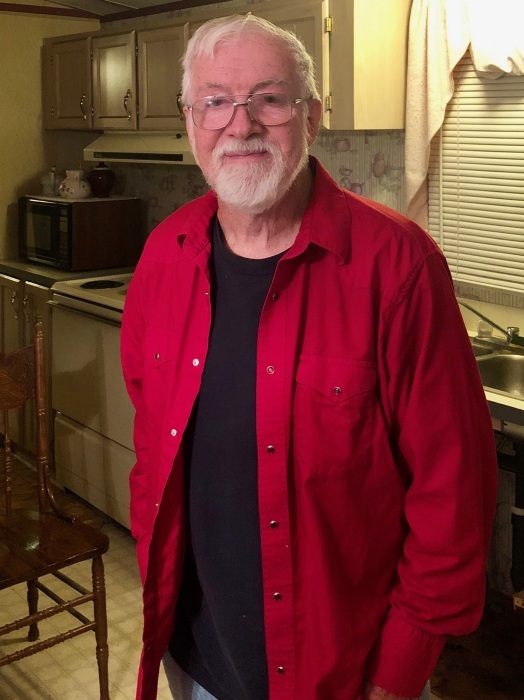 Mr. Charles Roland Pate, 71, passed away Friday, January 25, 2019 in Durham VA Medical Center. Charles was born in Cumberland County on August 31, 1947 to the late Prior Pritchard Pate and Esther Stevens Pate. He served in the US Army, was a Vietnam Veteran and very proud to be a member of the 25th Infantry Division ‟Wolfhounds”. Charles worked as a Fork Lift Driver for many years with Unilever in Raeford and loved racing, especially Tony Stewart. He will be greatly missed by his family and all who knew him. He is survived by his son, Christopher Roland Pate of Fayetteville; his former wife, Vera Barefoot Pate (Alexander) of Fayetteville; 2 brothers, Stephen V. Pate of Raeford and David Michael Pate (Dalys) of Tacoma, WA; a grandchild, Christopher A. Pate of Fayetteville; nieces and nephews, Angela, Daniel, Maureen and a host of extended family members. Visitation will be 1:30-2:30 PM Sunday, February 10, 2019 at LaFayette Funeral Home, 6651 Raeford Rd. Fayetteville, NC 28304. A Celebration of Life service will begin at 2:30 P.M. following the visitation with Stephen Pate officiating. Burial will follow in Camp Ground United Methodist Church Cemetery in Fayetteville. The family request, in lieu of flowers, memorials may be made to LaFayette Funeral Home to assist the family with expenses.